Stay in contact and keep up to date with all that's new from Broxtowe Women's Project by giving us consent to keep your details on our list. Your privacy is important to us, and we want to communicate with our trustees, volunteers, service users and supporters in a way which has their consent, and which is in line data protection law. Nottingham NG16 3ZE. 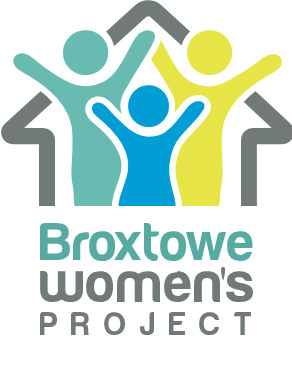 Broxtowe Women's project, as the Data Controller, is registered with the Office of the Information Commissioner under the Data Protection Act 1998. Enquiries about this privacy statement should be sent to: email: enquiries@Broxtowewp.org You can change your mind at any time by clicking the unsubscribe link in the footer of any email you receive from us, or by contacting us at enquiries@Broxtowewp.org You can request at any time to see all information we hold about you. If you believe we have acted beyond that to which you have given your consent you should contact the Information Commissioner's Office immediately. We will treat your information with respect and in accordance with the EU General Data Protection Regulation (2016, 5419/16). BWP needs to collect and use certain types of information about staff, volunteers and people who use services as part of our legitimate interests. BWP is fully committed to protecting the rights and privacy of individuals, in accordance with the GDPR. Information about employees, volunteers and learners will only be processed in line with established regulations. Personal data will be collected, recorded and used only with your express consent and within the limits you stipulate. To this end, BWP fully endorses and adheres to the Principles of Data Protection, as detailed in the GDPR. To view our full data protection policy, please email enquiries@broxtowewp.org By clicking the subscribe button below, you agree and give your consent that we may process your information in accordance with these terms.